The world seems to be obsessed with Artificial Intelligence and for good reason. SAS is the enabling force that is helping public sector organisations across central and local government embrace AI and provide both choice and control in its implementation, writes Emmet Dowling. Since 2010 AI has grown at a compound annual growth rate of almost 60 per cent. It’s such a huge priority that 72 per cent of those organisations we surveyed have either deployed AI-based technology or are in the process of doing so. Is the hype worth it? In 2017, Deloitte Insights predicted that “AI could free up 30 per cent of government workforce’s time within five to seven years”. That’s an astonishing productivity boost that could radically improve service efficiency while reducing operational costs. Citizen expectations are also on the rise. As consumers, they experience AI-driven digital service capabilities and have come to expect similar improvements to the quality and speed of public services. Government organisations in Ireland must urgently adapt. But how can AI improve the lives of citizens and how can government accelerate implementation? Through collaboration. AI is already widely used; think chatbots. They are the perfect example of how AI can automate single, time-consuming or mundane tasks and improve the citizen experience. However, as artificial general intelligence, or strong AI, comes to the fore we’ll see productivity benefits intensify. Why? Because this human-level AI can plan, solve problems with little context, and initiate ideas with little frame of reference. By using AI for more complex problem solving, to augment decision-making, and as an input into policy development we can see how AI could change the way government works. While artificial general intelligence is still years away and its potential seems infinite, the application of current technologies in machine learning, deep learning, computer vision and natural language processing allow creative individuals and organisations to build intelligent self-learning systems addressing the most complex of problems. Innovation will happen most powerfully in a cauldron of collaboration. This relies on the most appropriate skills and technology being in the right place at the right time, and it is here where SAS believes Ireland is positioned so well. What is Ireland’s greatest AI advantage and how can we leverage it for maximum impact? Ireland is a powerhouse of the European ICT market, hosting some of the world’s leading tech firms such as Apple, Google and Facebook amongst others. The effect on drawing investment, skills and knowledge into the country has been magnetic. This has been supported by a growing reputation for AI development across Ireland’s tertiary education sector and IDA Ireland, whose mandate is to promote inward foreign investment. 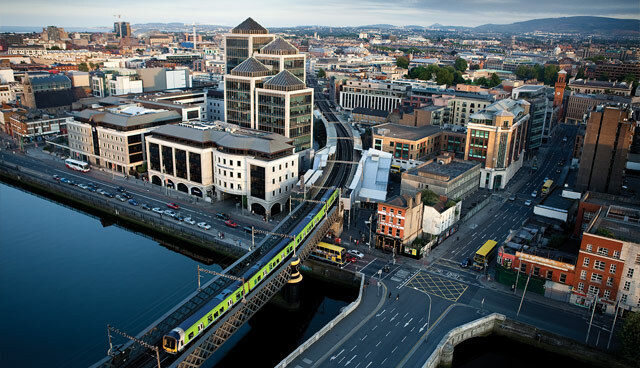 As a result, in 2018, Forbes recognised Ireland as one of the best countries to do business in. More recently, the Department of Public Expenditure and Reform and Enterprise Ireland has been commissioned to award research contracts to investigate how AI can support the development of more inclusive online public services. This is a key stage in the progress of Ireland’s eGovernment strategy, and there is certainly huge scope for AI to improve service outcomes. At a pragmatic level Irish Government CIO, Barry Lowry, is forging ahead in using digital transformation to create joined-up, customer-centric services. Great progress is already being made with electronic state identification and a Digital Services Gateway in play. Much more can be achieved in departments outside policing, healthcare and local government. In agriculture there is a huge untapped opportunity to drive yields and productivity while reducing waste, helping to make Irish farmers more efficient and competitive. Will a lack of skills put the brakes on? No matter how well-formed Ireland’s AI ecosystem is, government organisations are facing a skills shortage. They must compete for the brightest minds and most capable data scientists. That competition comes not only from the technology giants who have made Ireland their home, but with financial services, AI start-ups and other progressive sectors. These professionals are driven by their passion for analytics, seeking to push the boundaries of what’s possible with AI and discovering new problems to solve. They often seek the freedom of open-source coding languages to achieve that autonomy. However, while open-source has many benefits, government organisations must focus on ethical data use and privacy which go a considerable way to building trust with citizens. This requires the analytics that power AI to be underpinned by a sound data governance framework so that algorithm development can be tracked and audited for complete transparency and compliance. Let’s not forget that all digital transformation begins and ends with data. Poor quality, inadequate quantities and poorly organised data is often the starting point for us at SAS. We’re highly adept at getting the data piece right, rapidly. In our experience, the ideal way forward is to provide the best of both worlds; an analytical platform that provides choice and control. Choice comes from the option to use both world-class analytics software that is proven, scalable and auditable alongside the option to code in open-source languages such as Python, R and others. Control stems from underpinning AI with a robust analytics engine that leads the market, and a team that understands the Irish government’s desire to use data ethically and build algorithms without bias. This duality is offered uniquely by SAS. Does retraining hold the key to skills shortages? We belive it could. For those working in the broader IT ecosystem there are plenty of opportunities to retrain as data engineers and use their analytical skills in new ways. The Edison Project is one example of a successful training and skills mapping programme that progresses the data science profession. At SAS, our education team creates flexible training and enablement programmes to help organisations cross train employees so that they deliver greater business value in this field, while opening new opportunities for staff. What we also understand is that many government organisations have neither the time nor resources to experiment with AI. However, it is eminently possible to overcome these skills challenges and to test the outcomes analytically driven AI could deliver without the perceived risk or financial outlay you might expect. SAS ResultsTM allows you to solve your analytical challenges, using your data, without having to buy any SAS software. Your tasks will be undertaken by our experts to assure the best possible outcome. Please reach out to Emmet Dowling, public sector director, SAS Ireland for more information. With Ireland’s AI ecosystem fully energised by expertise and investment, now is the time to partner with SAS. We can help you develop the skills you need to succeed.